We are so lucky in Tower Hamlets to not just one but three city farms. It also means that donkeys do make an appearance at some of our local nativities. There is the Salvation Army nativity at Stepney City Farm (you will definitely see a hee-haw or more) this Saturday from 2-4pm. 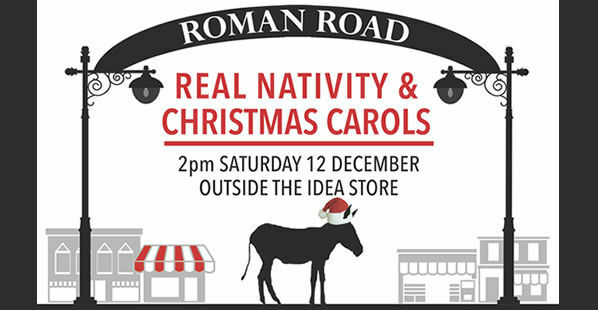 Also happening at the same time is the real nativity (rumour has it it won’t just have a real donkey but a real baby!) and Christmas carols outside Idea Store Roman Road. Other local events to check out this weekend include carol service on Sunday 6pm at St Paul’s Shadwell and at East London Tabernacle at Mile End, just a stone’s throw away from The Coffee Room, there is carol singing tonight at 7:30pm and again next Tuesday 6:30pm as well as a Christmas service at 5pm on Sunday. Also, for the Christmas and New Year period there will be a double box on Tuesday 22nd December rather than the usual weekend collection, with usual collections resuming on Friday 8th January 2016 (!) Can you let us know if you will be away over the Christmas/New Year period? Hark back to the Autumn Equinox and Harvesting posts for more on celeriac (with pear), kale (with apple) and ideas to get through all those apples and pears of your fruit supplement! ← Advent is Upon Us!